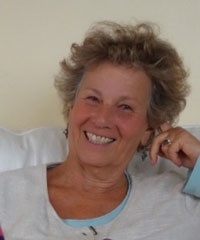 Groups are facilitated or supervised by Ilene English, a seasoned group leader and mental health professional, trained in the field of psychotherapy, and licensed by the State of California as Marriage and Family Therapist. Ilene’s skills as a group leader helps to create a feeling of safety, a strong ethic of confidentiality, and a sense of connectedness among participants in her groups. I offer quality, caring attention to my clients. I want people to feel safe to explore their struggles, feel their deepest feelings, and find the best ways to move forward in their lives. My orientation integrates both the personal and the transpersonal, ordinary and non-ordinary states of consciousness, modern Western perspectives and Eastern wisdom, intellectual and intuitive ways of knowing. I believe that the therapist's consciousness and own personal spiritual journey matters when working in this deeply personal way with people. I have come to believe that the work also deepens with life experience and the wisdom age brings. My role is to guide, mentor, witness, coach and enlighten when I can, always in an atmosphere that is encouraging, non-judgmental and unconditionally supportive. The aim of GroupWorks is to provide participants with a supportive, often fun, and thoroughly engaging group experience to assist them in overcoming conflicts in their lives, to help them to gain a greater understanding of themselves and others, and to facilitate relating to other people in a more satisfying way. Group members are interviewed individually prior to membership in a group to help create a group experience that is optimal for all participants. We at GroupWorks know that finding the right therapist is a choice not to be taken lightly. That’s why we offer free consultations to walk you through your needs, the scope of your goals, and your budget.